The location is perfect with all public transport close by. It is 10 minutes walk from the metro station (Hospital Clinic) located on the (Blue line or Line number 5). It is a walking distance from central Rumbla and a bus to the Beach in 20 minutes is available few steps away. The area is filled with quality and reputable bars, cafes, restaurants. It is a shoppers paradise with top International retail brands, and it is surrounded by the best nightclubs in Barcelona for those who love to party. It is also close to the famous football stadium (Camp Nou), for all football fans arriving in Barcelona to attend the important matches. This is in central and one of the most visited locations in Barcelona. 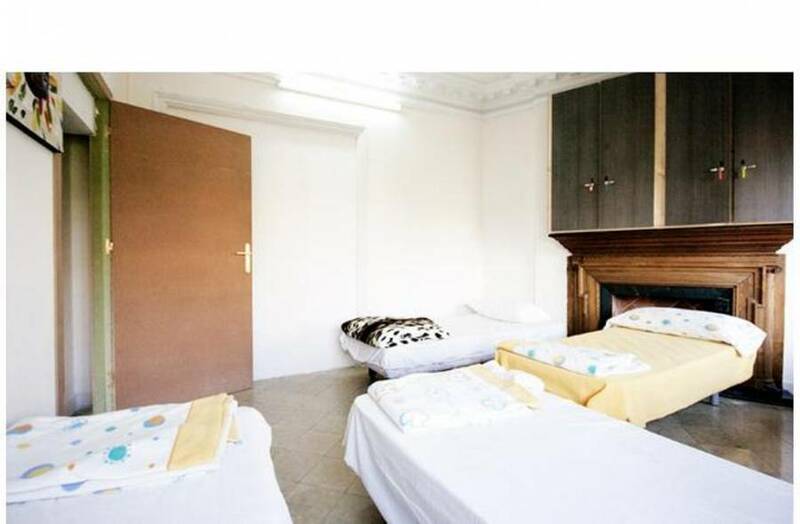 The room is private and not shared with strangers like in hostels, but the bathrooms and the kitchen are to be shared with our friendly guests, who are mostly from Europe, North America and UK. The apartment has an amazing living room for one to relax and watch TV, use our computer to access the internet, use your laptop with wifi availability, play board games or simply take a break and enjoy the sun shine with the outside views. 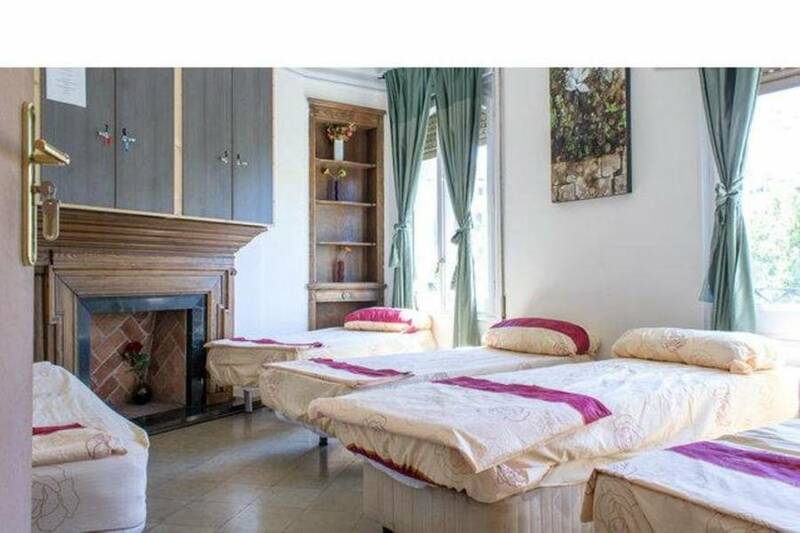 The apartment has a single room (for 1 person), 5 double rooms (for 2 persons in each, total of 10 persons) , 3 large rooms with 5 single beds in each (for maximum 5 persons per room, total of 10 persons) and 1 large room with 3 single beds (for 3 persons). 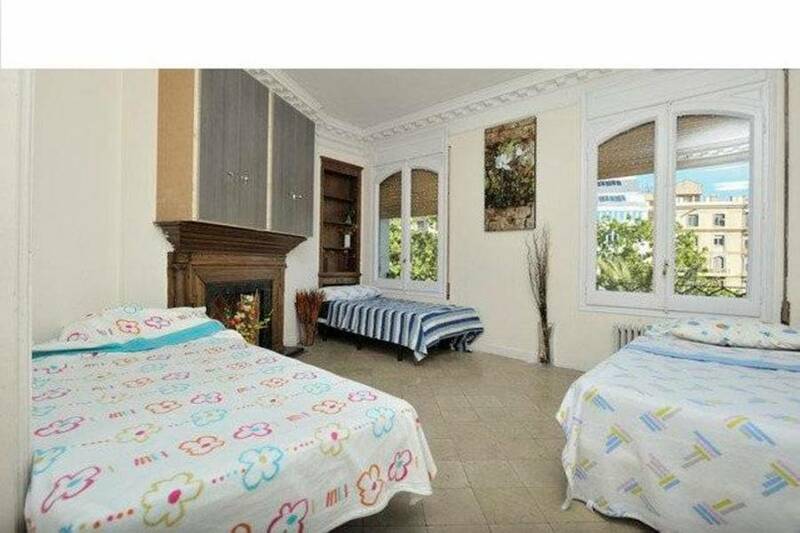 The Apartment is surrounded by all public transports including a 10 minutes walk from the metro station (Hospital Clinic) on the blue line. It is a large and spacious apartment with up to 10 private and well equipped rooms available to accommodate up to 30 persons. 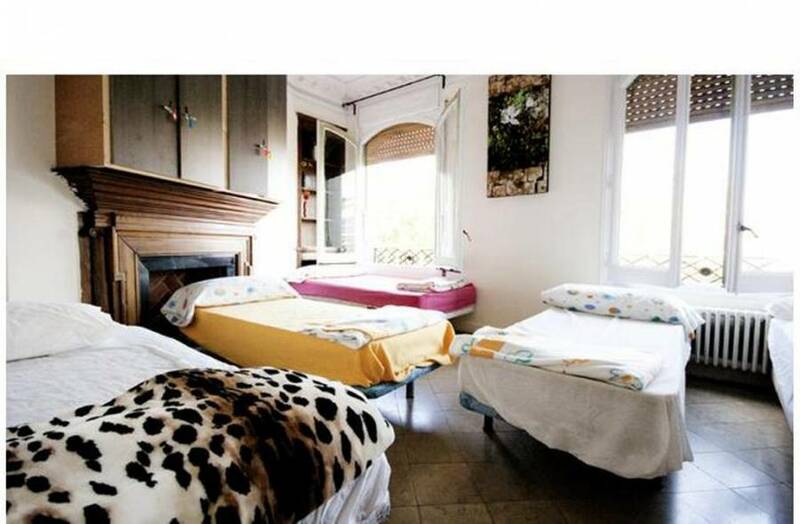 The apartment has 6 private double/twin rooms (12 persons), 3 large private rooms with 5 single beds in each (total of 15 persons) and 1 large private room with 3 single beds (for 3 persons). 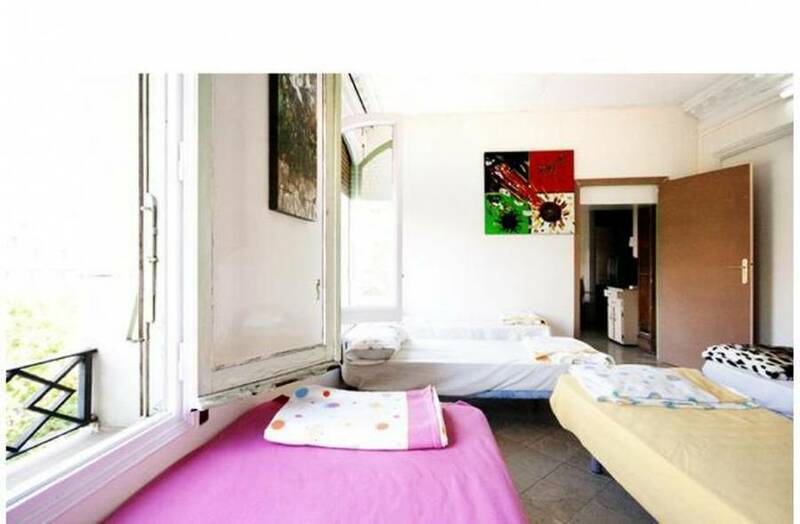 The apartment has a large well equipped kitchen with all kitchen utensils available to cook and eat comfortably and there are 2 clean and well maintained bathrooms with shower and bath tubs. It has a high ceiling with large windows that allows plenty of fresh air and sunlight to pass through. It is quiet, peaceful with no traffic noise, horns, neighbor’s interference etc. The living room is available for you to relax and use our fast WIFI network. A television, CD player, computer with fast adsl internet, magazines and books are all available for your entertainment during the stay with no extra cost. The keys to access the building, the apartment, the rooms and for your private lockers will be provided on arrival. There will be 24 hour access allowed with no curfew. Our apartment manager is available 24 hours to provide general assistant and security around the place. The check in time is flexible which will be discuss prior to your arrival making sure you are received on time and all required keys are handed over and the check out is before 12pm.